Last updated 06 December 2018 . By Faith Strickland. Put on your dancing shoes and get ready to party like Tina Turner, Bianca Jagger, and David Bowie as Cafe de Paris reinvents itself into a Studio 54-inspired haven. 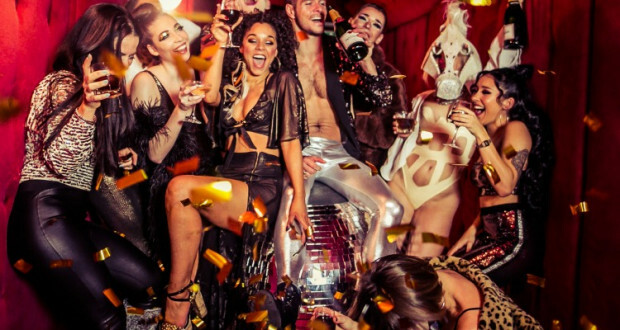 The Leicester Square club will be bringing the glitz and glamour of the famous club to London with a refit which includes 54 disco balls and themed karaoke rooms. Opened in 1924, the nightlife spot is no stranger to the starry, having been frequented by the likes of Princess Margaret, Grace Kelly and Prince, and while it's looking towards the disco era for its latest lease of life, the bar and club will be keeping some of its most famous elements. The space will be open every Friday and Saturday and will continue to put on their renowned shows, with a team of 40 singers, actors and DJs immersing you into the heady world of New York in the '70s and '80s. The cocktail list is also staying true to the theme, with concoctions named after famous '70s personalities, including the Elton John: an epic sharer cocktail served in a disco ball. Want to be one of the first to see it? Grab tickets to the launch party here.